The Asbestos Victims Association revealed that more people will be eligible for damages claims for asbestos exposure following the case of a former Whyalla shipyards worker successfully brought against BHP Biliton. The Full Court of the South Australian Supreme Court sustained a ruling to grant William Parker $20,000 in exemplary damages. The court found that BHP failed to prevent Parker from getting Cancer while he was a shipyard worker in the 1970s.Terry Miller of the support group stated that the case was an important win for victims. Miller believes that this case will represent precedent for future cases and will enable more asbestos related cases to make it to court. Miller added, that though not all cases will be made for exemplary damages, this case makes it “more easy”. Asbestos continues to plague individuals years after Australian companies were ordered to stop using it. 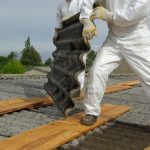 Many victims suffer end up suffering from the asbestos- exposure disease Mesothelioma, years after being exposed to the deadly substance.